It’s frustrated for me for as long as I can remember; I can’t draw. I’ve been envious of friends with the talent to create little sketches of their roleplaying characters and NPCs. Needless to say I was interested when ePic Character Generator popped up on Steam for free. The software really is free. Yeah, of course, the business model is that you have to pay for extra downloads but you do get four of those design packages for free when you get going. There’s also a watermark logo that is attached to the illustrations the software makes but a £30 investment takes you to the pro version which gets rid of that and the usage rights to the images which don’t require a reference to ePic. I think the watermark logo will be very frustrating to some gamers. I don’t think others will care at all. My first fight was with Steam. I hadn’t used it to so long (thanks to moving home and a preference to console gaming – since firing up the PC tends to get me blogging). The next was making sense of ePic’s opening screens. You have a gallery of options and I suppose that’s a visual way of doing things but I’d just like a quick way to access the DLC I’d bought. Once I’d mastered Steam and sussed out ePic’s GUI I was flying. You’ve essentially bought a digital doll. Each set comes with skin tones, hair styles, clothes, weapons and backgrounds. 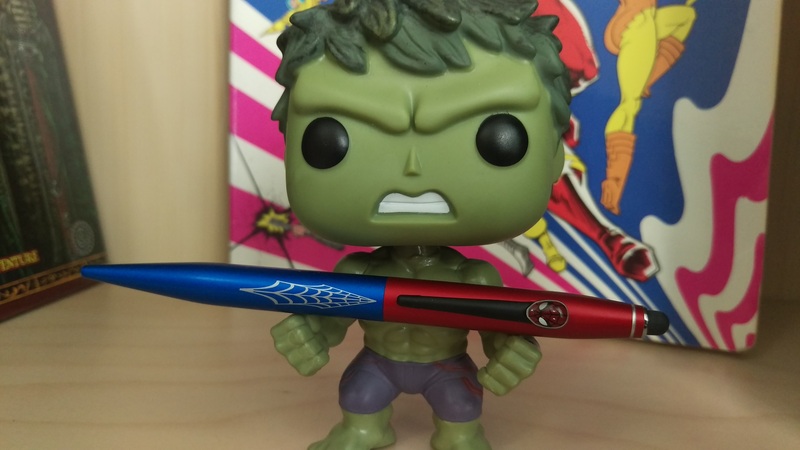 Since I’d picked up a supernatural pack I could go blue. The art is better than I expected. Yeah, totally, if you’re used to gorgeous custom creations then they’ll blow away ePic’s digital doll solution but I think the quality here is good enough. In some ways it’s better than fishing through the GMs collections of minis to find one that’s kinda, ish, maybe, representative of your character for use of the battle map during skirmishes. A particular plus, I think, is the ability to have a background of type “card”. This means you can trim your character creations into Magic: The Gathering style presentations with the image up on top and a box section for notes. I particularly like the mini card option and I can see GMs having a host of these for NPCs, either as handouts or as reminders. 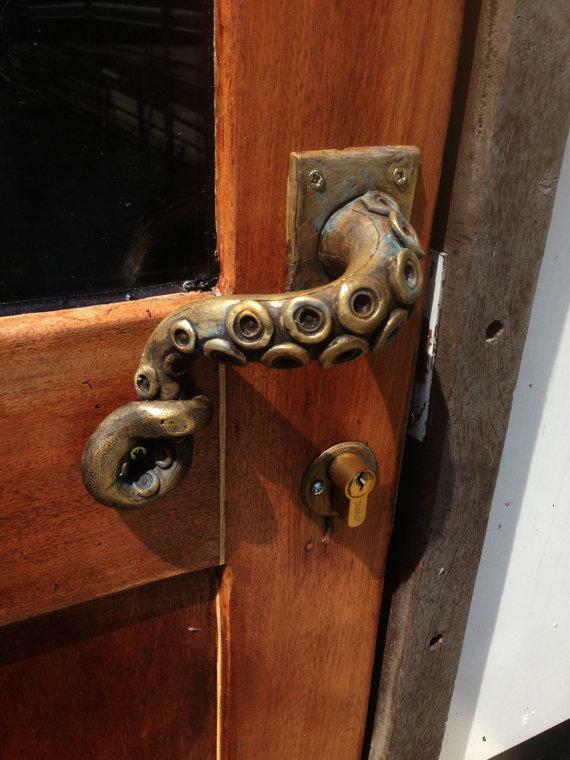 Imagine getting one of these with a secret whisper scrawled on it rather than a scrawled note from the GM. You’d take it more seriously. There’s a random button, too, if you happen to be that GM and just need a visual quickly. What about range of characters? 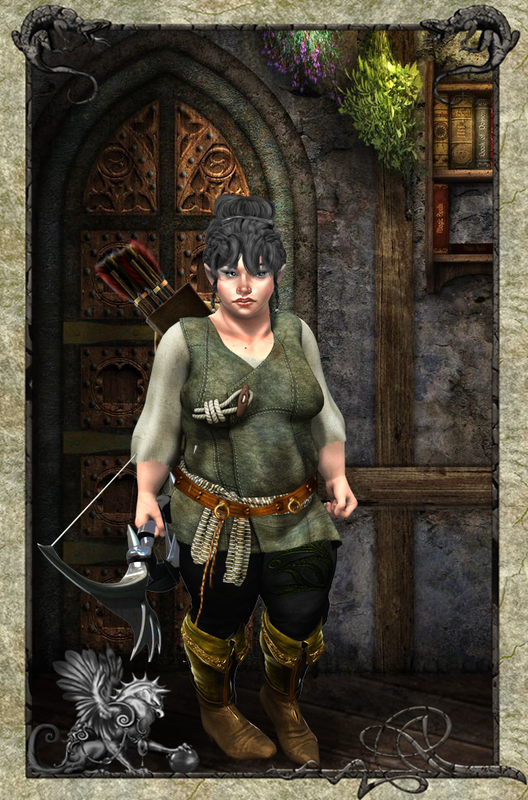 Here’s a female dwarf I created (which I eventually found in ‘Season 1 packs’). I timed how long it took me to do this: 1 minute 53 seconds. That includes trying on various hairstyles, boots and weapons. The image of my dwarf isn’t a screengrab but the result of the export function (hit ‘settings’ to save or export once you’re done). It weighs in at 639×968 and 1,472 KB. I could go larger but this isn’t bad. Don’t like the border? My bad; I put it there. 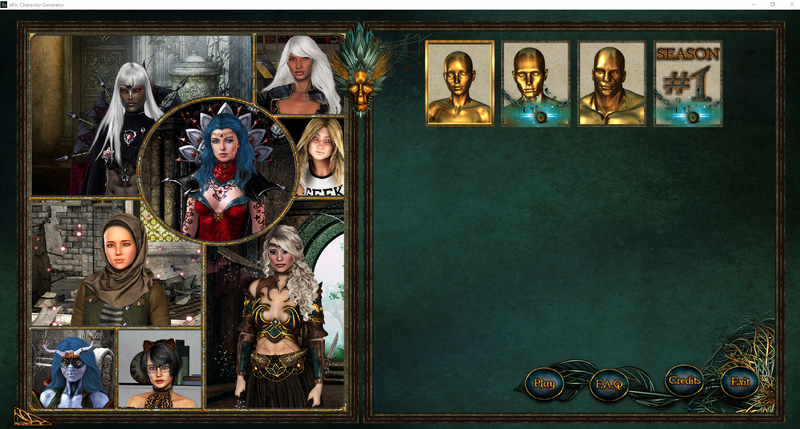 As the character creator you have the ability to go with or without border and pick from a range of styles. Last test – do female characters wear clothes? I think my dwarf already shows they do but what I’m really looking here is at how ePic handles female characters by default. Turns out this is a hard question to answer. By default characters, male and female, don’t start out wearing much clothes. You can certainly design a skimpy clad female temptress. However, the usual clichés do seem to be avoided. 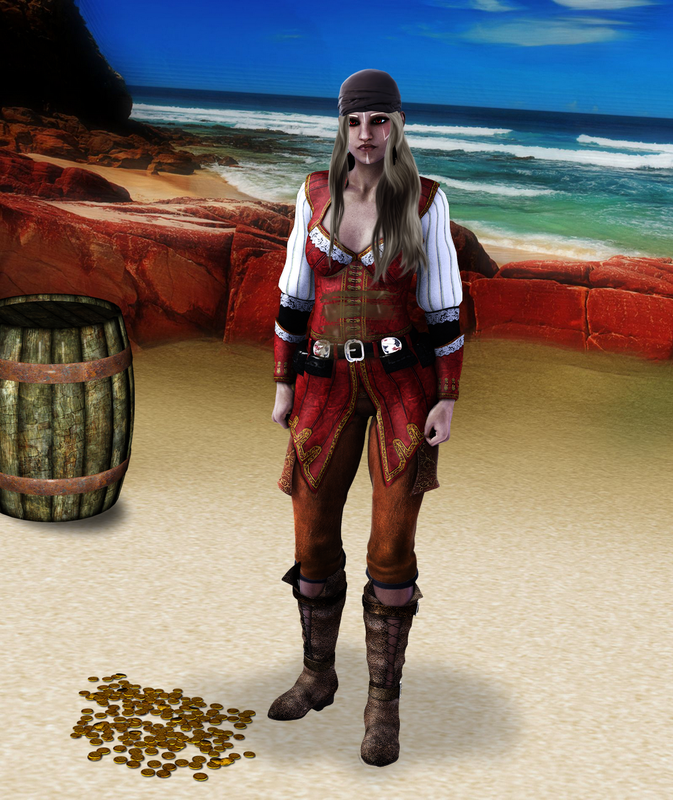 Here’s a female pirate that I created. I’m sure folk will debate whether it’s historically accurate in costume but I don’t think it’s particularly a male fantasy of a female pirate. ePic Character Generator won me over. I had some initial frustrations with learning new software and concerns that the digital dolls all looked too similar but sheer number of applications for it outweighed the negative. I think this is a handy utility for any gamer group. I bought the Pro version but ePic Character Generator provided the Female Pirate, Male Supernatural and Dwarf Female packs for review.